Posted on July 8, 2015 by M.E. The Adidas Yeezy Boost 350 saw its first release, in a grey colorway, not too long ago. Rumors are now swirling of when the second version of the sneaker, a black colorway, will come out. We may have a better answer. 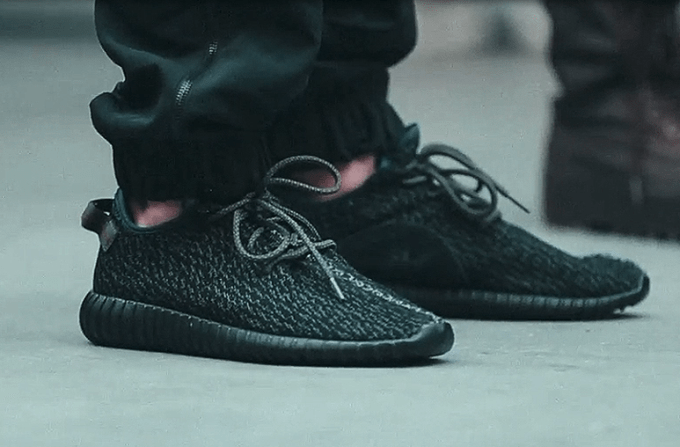 According to Hichem.OG, an Instagram user known for getting early pairs, the black Yeezy Boost 350 will release on August 22, 2015. No official date has been announced by Adidas. This entry was posted in Fashion, Fly Life. Bookmark the permalink.